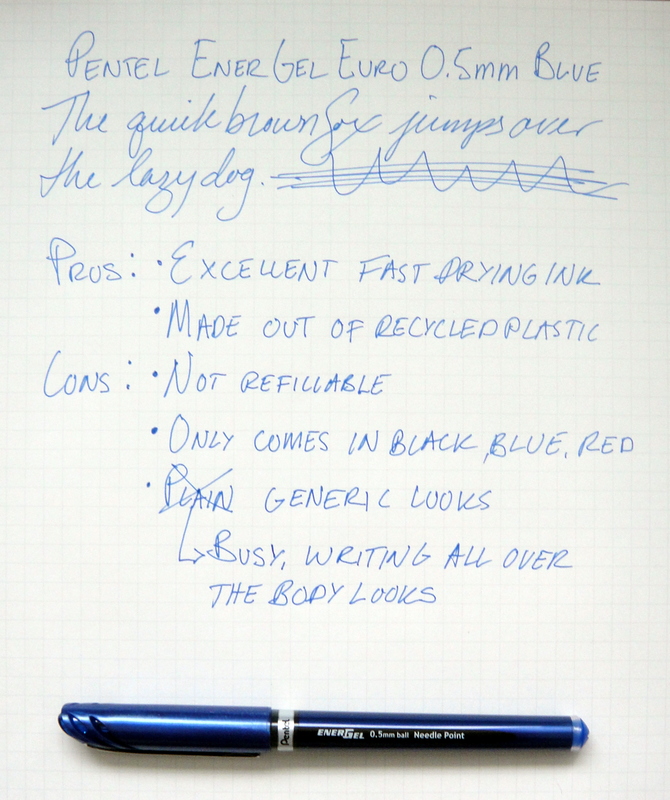 The Pentel EnerGel Euro uses a liquid gel ink that writes very smoothly and dries quickly. The line is crisp and a true 0.5mm. 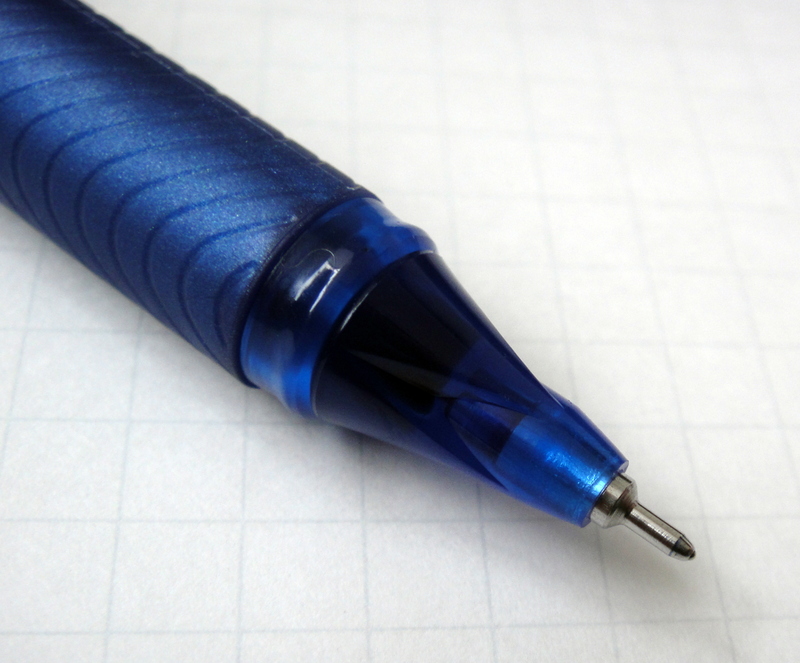 The pen has a blue almost metallic-looking body made of partially recycled plastic. The body has a lot writing on it as well as a bar code which make the pen ugly and generic looking. The latex free grip is quite comfortable and I like translucent blue plastic between the grip and the metal tip; it has these unusual faceted points. The cap also snaps onto the body when posted which is a feature I love. The EnerGel Euro comes in black, blue, and red as well as four tip sizes 0.35mm, 0.5mm, 0.7mm and 1.0mm. The EnerGel Euro costs $2.75 and is not refillable. This is an excellent pen and if you don’t mind the generic looks I highly recommend it.